RADS offer distribution services for customers who have a large bulk order that needs to be stored and then part shipped to various areas of the country. 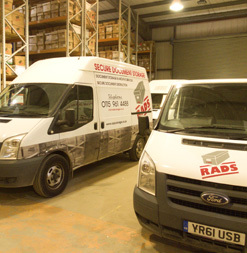 Whatever the size of order or however complex the requirement is, RADS distribution services can help. One prime example is the solution we have provided for a large educational institution in the local area. RADS have been managing educational publication materials since 2005 when the requirement was identified; since then the requirement has grown at a rapid rate and as a result, we have developed a stock spreadsheet which contains details of all the materials currently in storage. 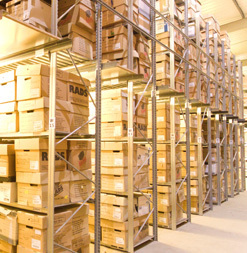 There are currently well over 12,000 boxes and 150 pallets of stock stored at RADS. We collate and label courier orders for distribution to sites across the UK on a daily basis, dealing directly with each department. 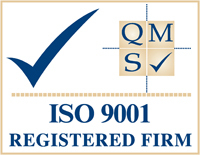 In busy periods this service takes a large amount of man hours and very good organisation to achieve. We feel we have managed this aspect of the project very successfully over the past 4 years and have always delivered a fast, efficient and flexible service which is good value for money. We also feel that our experience has given us an in depth knowledge of the marketing materials which we use to help our clients whenever we can and that this expertise is essential in running the contract to a good level of quality. 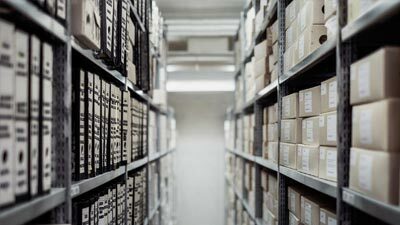 Marketing materials are stored within RADS archive depots either in the form of loose boxes on shelves or on pallets in our open store rooms. 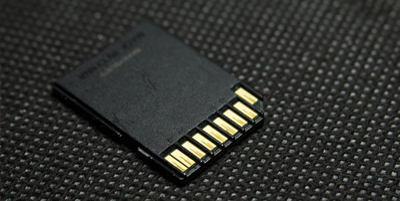 All areas where our clients educational marketing materials are stored have the same high security levels as the rest of our secure storage facility. We are able to develop a unique stock management and distribution process to suit any requirements and we are constantly striving to improve our service in order to deliver the best and most efficient distribution services for our customers. 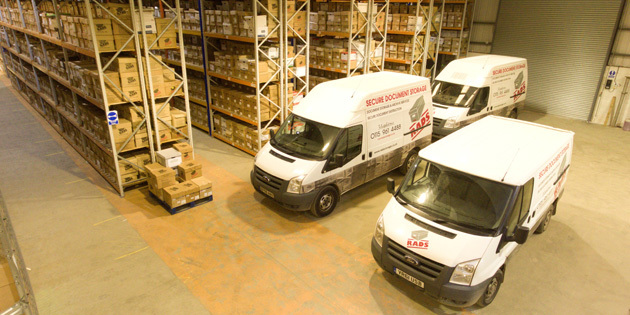 If you would like to find out more about our distribution services, feel free to call us on 0115 9614 111 or send email on info@radsstorage.co.uk. For new customers, there is no setup costs, so the initial collection of your documents and the bar coding of each storage box is and will always remain free of charge and all part of our excellent service. Our 80,000 sq ft facility is extremely secure, with a double-gated site that includes monitored CCTV and alarm systems as well as strong rooms and fireproof vaults for added security. 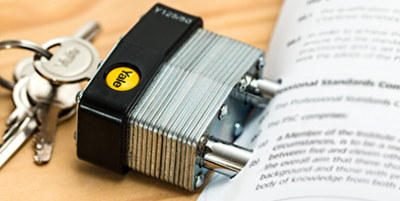 We operated a restricted access policy for non-staff and our facilities feature key coded entry systems, as well as temp/humidity monitor to ensure that all our documents are kept at the optimum temperature. RADS also have a conference room where clients can read and examine their documents. 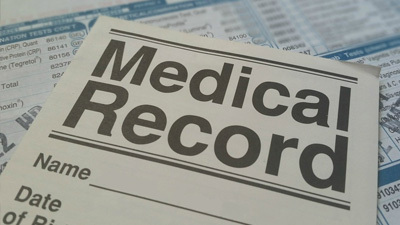 The room has photocopying, telephone access and fax facilities. 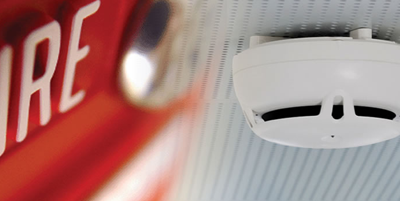 We have robust fire protection at our facilities which include temperature and humidity controls and a monitored fire detection system. Our storage boxes have also been specifically designed from a special grade of card which is extremely fire retardant. 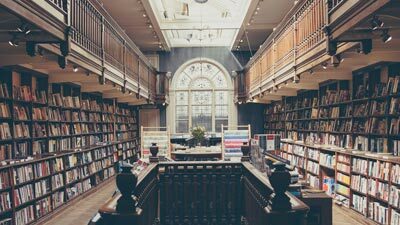 Take a look through our FAQ’s to find out further information about our Distribution Services and how we operate.